A good alarm clock can be identified by two simple features: 1) It should be easy to use and 2) It should be easy to set up. 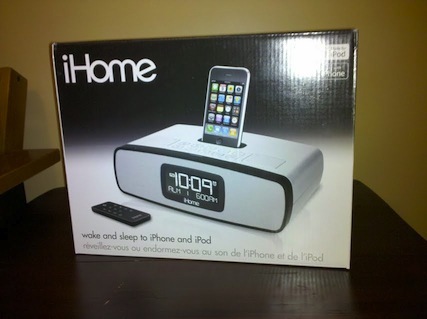 iHome has a winner with it’s Model iP90 iPhone/iPod Clock Radio. The iP90 is an attractive, easy to use, excellent sounding, dock-ready clock radio. The iP90 packs a great sound and plenty of options in a small size. It took less than 5 minutes to fully set the time, date, and alarm out of the box. The iP90 has some really cool features such as wake or sleep to iPhone/iPod, weekday or weekend alarm settings, programmable snooze times, audio line-in, a button to sync the clocks time with that of your iPhone/iPod, a Daylight Savings Time preset button, and backlit control buttons. 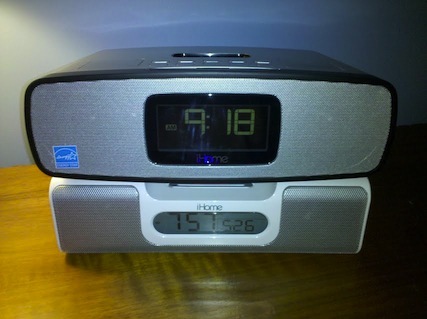 My personal clock radio, an older iHome iH5, has functioned great since I purchased it four years ago. It serves as a good example of how iHome’s products have evolved and improved in just a few years. The little iH5 has decent sound and supports various iPod models. Perhaps my only complaints of the older iH5 are that it has become difficult to increase or decrease the volume with the spinning volume button, and the sound really lacks bass. This is not the case with the excellent sounding iP90. Truly, I was surprised at the sound clarity and volume of the newer iP90. I was expecting it to have a similar, high treble sound, but the iP90 has a much fuller sound. The iP90 comes with bass, treble, 3D and balance controls for the tweaking your listening experience. Unlike the iH5, I found it quite enjoyable to have the iP90 on for extended periods of time. According to iHome, the speaker system is specially designed by Reson8® with speaker chambers that deliver astounding clarity, depth, and power. My favorite aspect of iHome products is the ease at which they work. 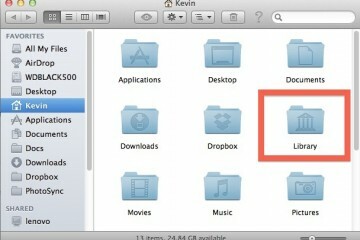 The buttons are large and intuitive. Directions are included, but once the you have the time and alarms set, you’ll likely never look at them again. Two AA batteries can be installed on the bottom of the unit and keep backup power should the electricity go out. A row of buttons on the back of the unit makes it easy to adjust the clock time and jump an hour ahead or behind for DST. The included remote makes operation a breeze from across the room. The iP90 also has several brightness settings. Typically, I like having my clock radio on the lowest brightness so that the room stays nice and dark. The iP90’s dimmest setting was low enough that it wasn’t distracting. 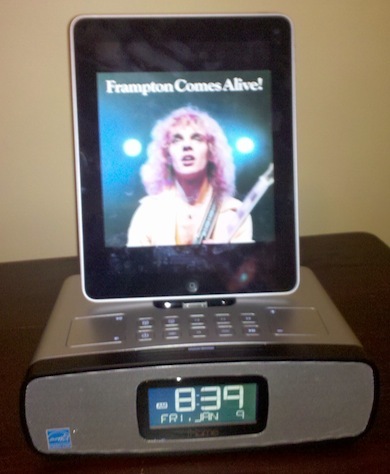 It may be overkill, but I’d love to see a clock radio capable of supporting and docking with Apple’s iPad. Granted, the iPad can serve as a full-feature alarm clock on its own, but it would be excellent if it were teamed with an iHome clock radio. The fact that my iPad is often used to read and surf before going to bed, the great sound of the iP90, and the benefit of having an easy charging station would make an iHome iPad docking station an automatic success. 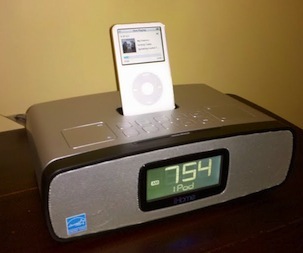 I wouldn’t be surprised to see something such as this from the iHome folks in the future. 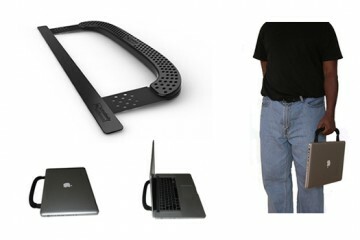 The iP90 can be purchased from various retailers at a MSRP of $99 USD. You can see additional photos or learn more by visiting iHome’s site. 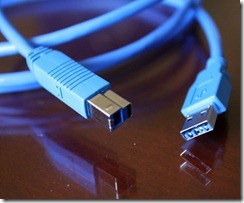 The iP90 on top and iH5 below. 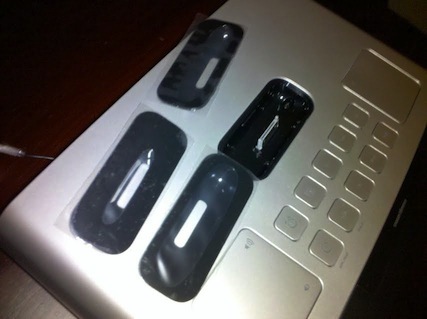 Various iPod/iPhone dock adapters are included. 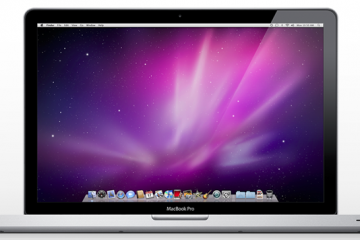 Core i7 MacBook Pro Battery Life Not Close to 8-9 Hours?